Off the hanger, out the door. 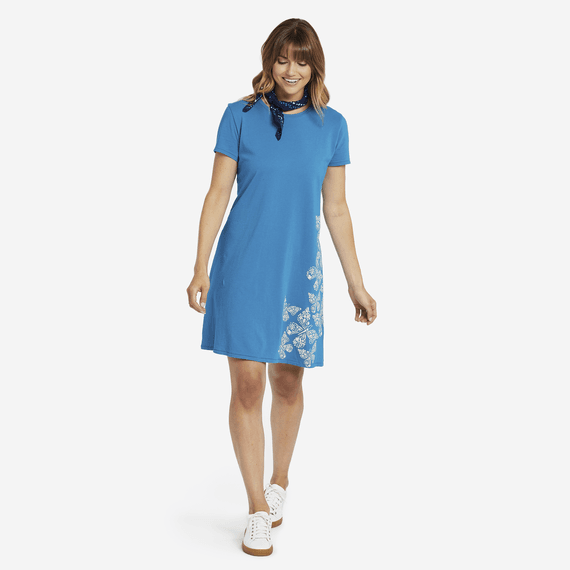 This easy T-Shirt dress comes in super-soft Smooth Tee fabric, washed for added softness. Classic fit, colorful, and comfortable with a soft drape and printed graphics.